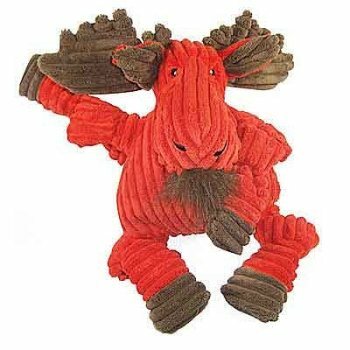 Most popular member of the Knottie family of dog toys, The Moose Knotties are made of a super soft plush corduroy and offer four great, gnawable knots. Each arm and foot has a knot and there is a squeaker in the belly to grab your dog's attention. Tails or ears feature crinkle material for added enjoyment for your dog. The Knotties in wee size are perfect for small dogs and small puppies.